If you know where I got the title for this post from, then you are awesome! After two DIY post in a row, I thought it would be fun to change gears a little bit and write an Etsy type post (since I haven't written one in a long time). 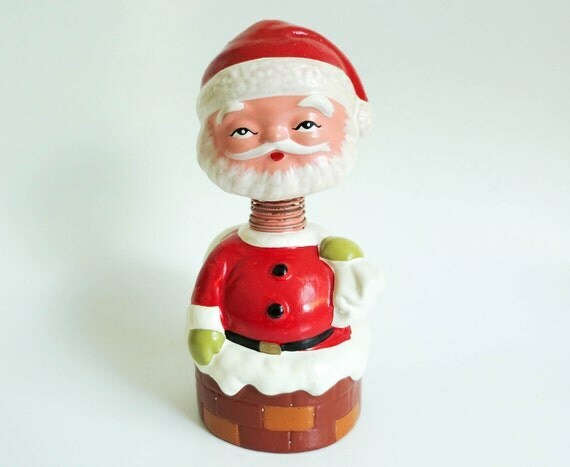 So today, I''l be showing you some of my favorite vintage Santa Claus finds from Etsy. 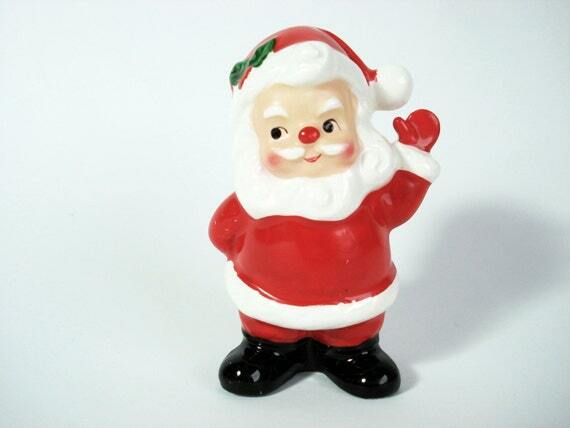 Personally, I only have one vintage Santa Claus item which is an ornament. I was completely fine with that until I started searching Etsy for this post. 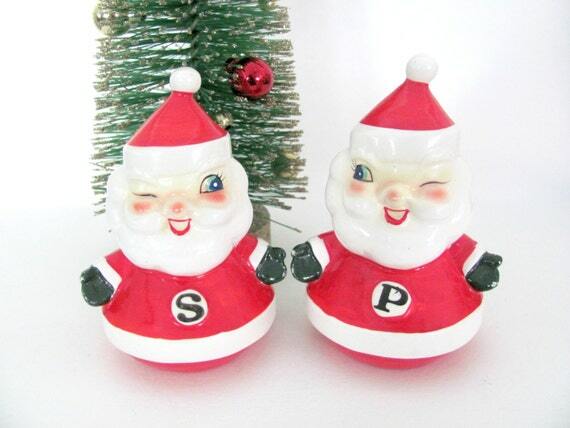 Now, I really want more 50s/60s Santa Claus home decor just because its so darn cute. I mean look at those ornaments above. Aren't they adorable! They would look perfect on a tree. 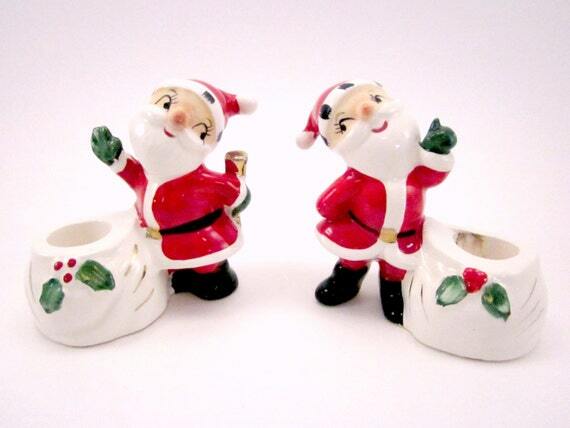 Here are some other fun Santa Claus vintage finds! 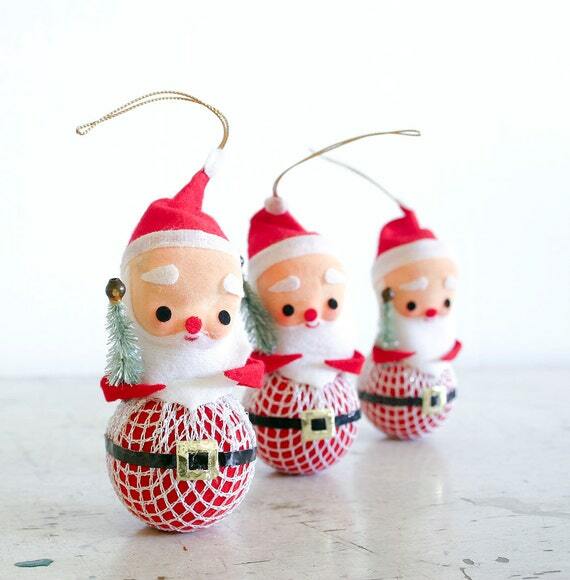 Do you have any vintage Christmas decorations? I'm sucker for old wrapping paper too! I love going to antique stores during this time of year and finding so many pretty patterns of vintage wrapping paper. This year I was lucky enough to find some vintage Christmas cards which were just as good as wrapping paper. I hope you had a wonderful Christmas as well and have a great New Year!